High Flying Bird (2019) – What's New on Netflix Canada Today! A sports agent pitches a rookie basketball client on an intriguing and controversial business opportunity during a lockout. In the midst of a pro basketball lockout, sports agent Ray Burke (André Holland) finds himself caught in the face-off between the league and the players. His career is on the line, but Ray is playing for higher stakes. With only 72 hours to pull off a daring plan, he outmaneuvers all the power-players as he uncovers a loophole that could change the game forever. The outcome raises questions of who owns the game – and who ought to. 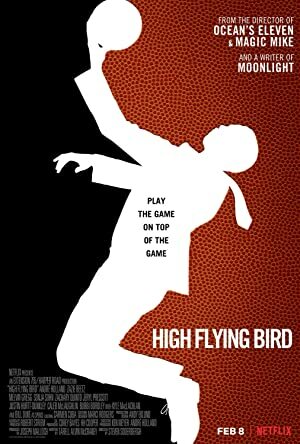 Directed by Academy Award winner Steven Soderbergh (Traffic) from a script by Academy Award winner Tarell Alvin McCraney (Moonlight), HIGH FLYING BIRD features an acclaimed ensemble cast that includes Zazie Beetz, Melvin Gregg, Sonja Sohn, Zachary Quinto, Kyle MacLachlan and Bill Duke, plus appearances from NBA athletes Reggie Jackson, Karl-Anthony Towns and Donovan Mitchell.